John Francis Buck joined Harry Caray in 1954 to announce St. Louis Cardinals baseball games. Their 14-year partnership has been called the greatest broadcast team in baseball history. Buck went on to become the anchor of the Cardinals broadcast team and sports director of KMOX radio. Capping each Redbird victory with a cry of “that’s a winner,” Buck’s wit, precision and enthusiasm earned him CBS-TV’s top play-by-play spot. Also an experienced football commentator, he announced eight Super Bowls. In 1987 Jack Buck was inducted into Baseball’s Hall of Fame. 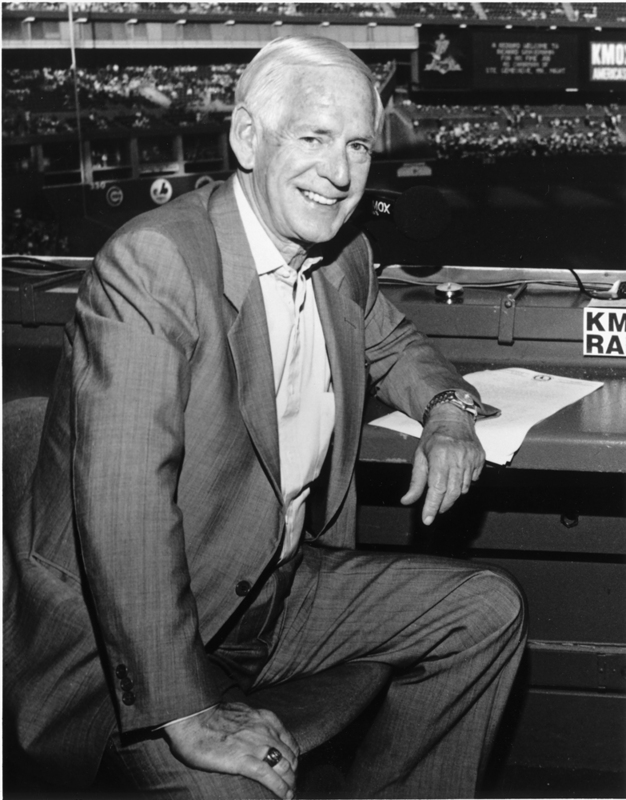 KMOX Radio - The Voice of St. Louis Jack Buck is one of America's most celebrated sports broadcasters. He's been doing St. Louis Cardinals play-by-play since 1954, and as KMOX's Sports Director has created an award-winning sports staff that's second to none. Jack was inducted into the Baseball Hall of Fame in 1987 and into the Broadcasters Hall of Fame in 1990, as well as the Radio Hall of Fame in 1995.